Last summer I bought a Lebanese cookbook because I really like Lebanese food but cannot cook it. 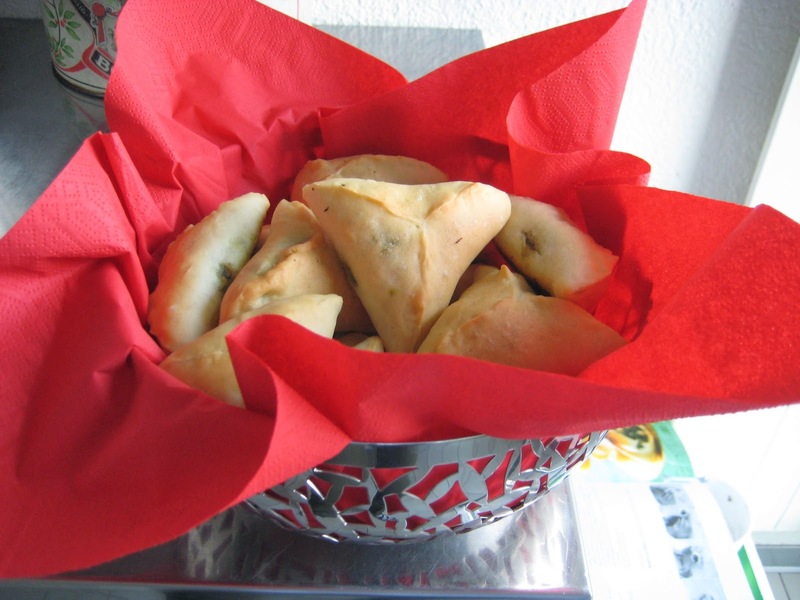 Earlier in this blog, I learned how to make "manouchés" but now I really wanted to make fatayers, spinach filled pastries. 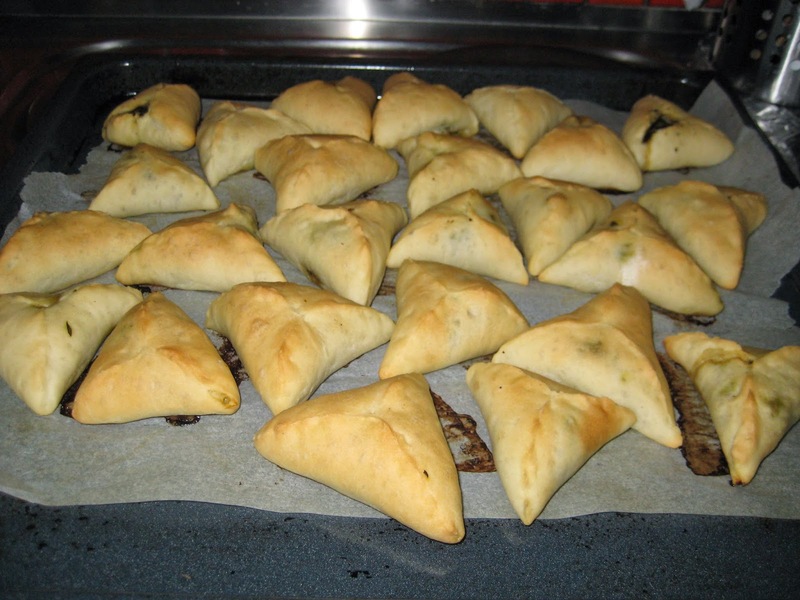 Fatayers are filled with spinach, onions, grilled pine nuts and sumac. You can eat them for lunch, for dinner, as snack... anytime basically because they're good and easy to eat. So try for yourself! And if you end up with too many of them, you can freeze them down for another time. Peel onions and chop them. 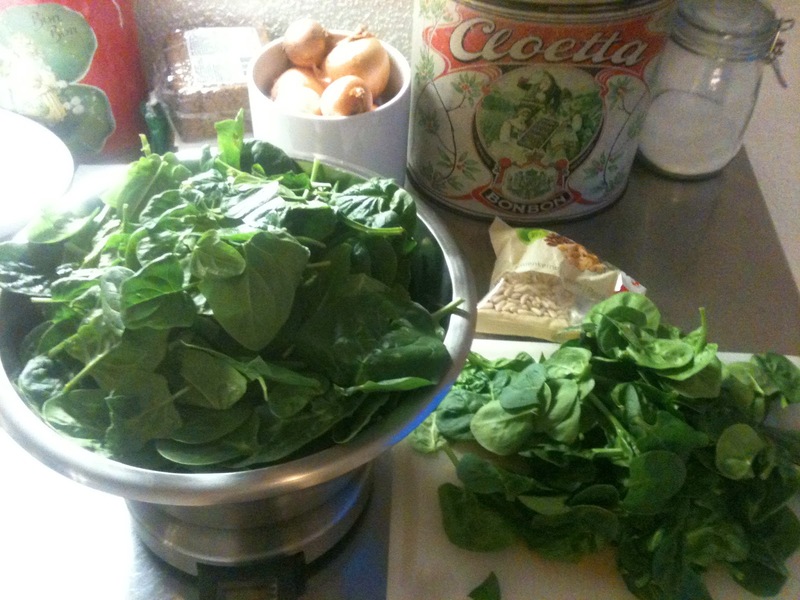 Wash spinach leaves and chop them up. Grill pine nuts in a pan. 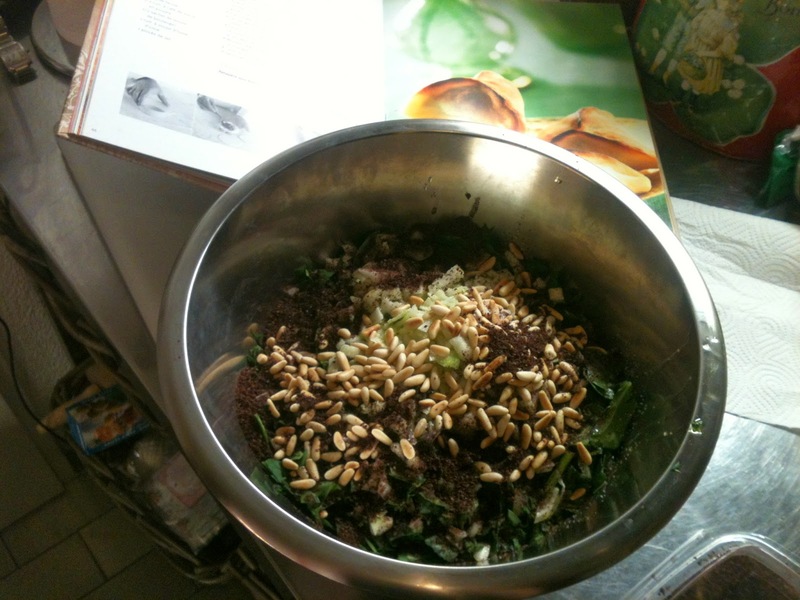 Mix all ingredients together for the stuffing in a bowl and put aside. Wet and dissolve dried yeast in water. Add all ingredients and mix until getting a dough that's not too sticky. Cover it with some flour and a clean dry towel, let it leaven for at least 30 min. 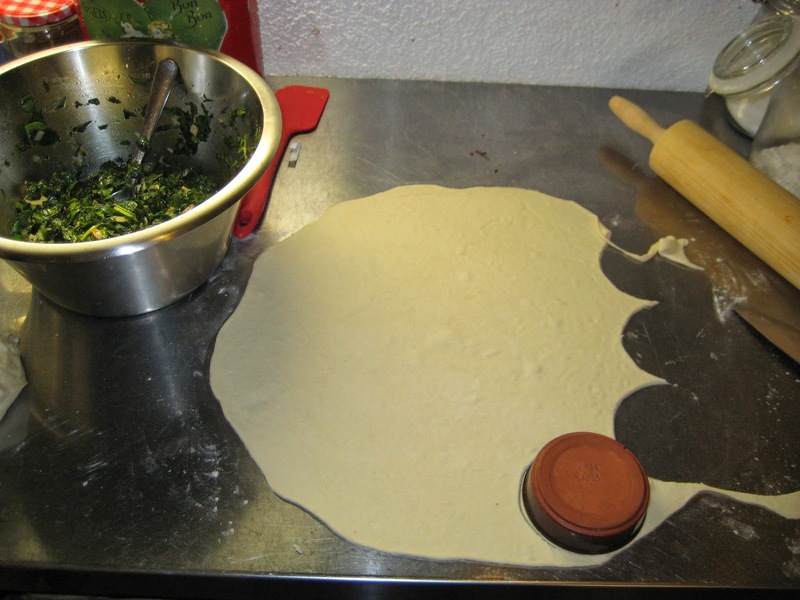 Fold out the dough and cut out 8 cm circles. 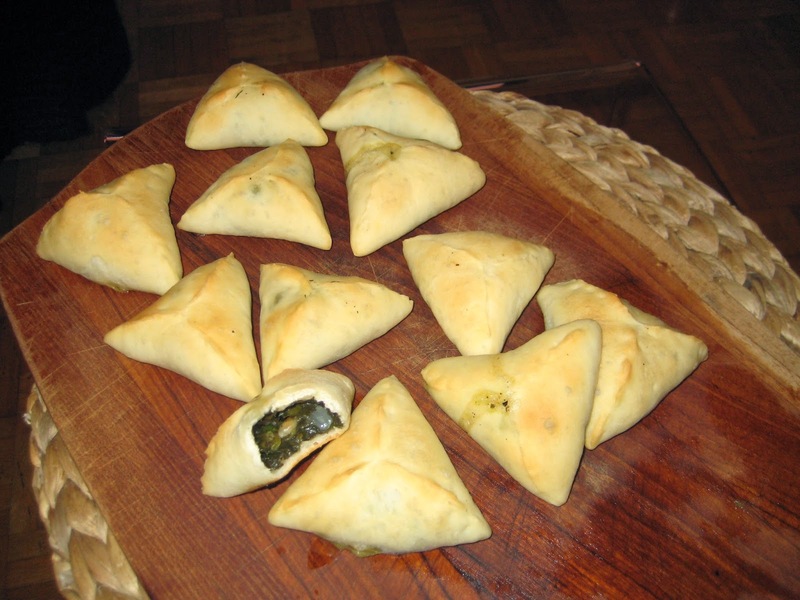 Transfer them to parchment paper on an oven plate and cover them with spinach filling. 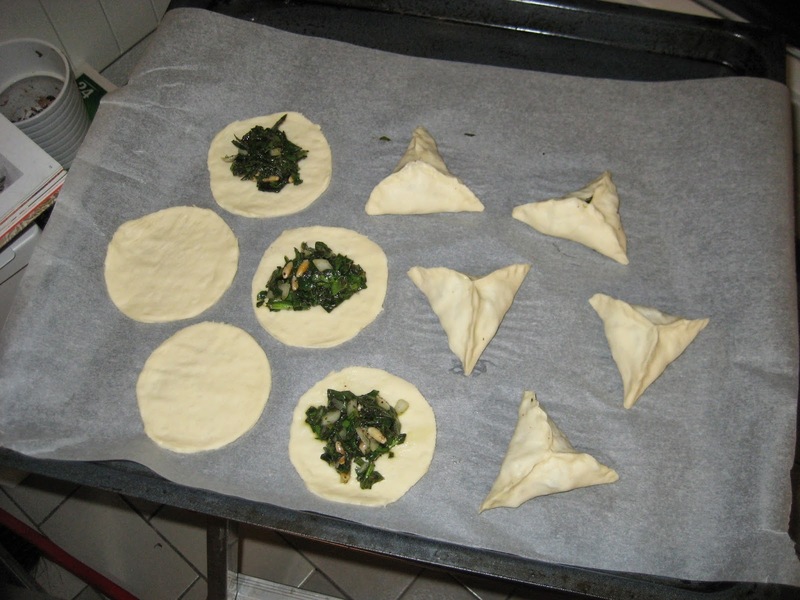 Close up the dough into forming a pyramid with three sides, pinch well the edges. Bake 10-12 min at 200C. Serve warm!